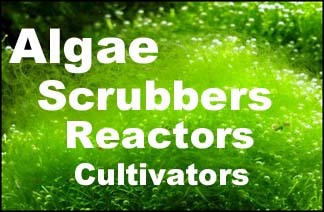 "Algal turf scrubber (ATS) systems have been evaluated for their ability to remove dissolved nutrients from a variety of natural waters and agricultural waste waters. Although these systems have been well characterized with respect to productivity and nutrient removal, very little is known about the community structure and population dynamics of the underlying algal community. The objectives of this study are to describe the nutrient removal performance of a pilot-scale ATS adjacent to the Susquehanna River along with a detailed analysis of structure of the algal turf community. "ATS biomass production varied seasonally, with highest values in July and August. Total production ranged from 11 to 18 g DW m−2 day−1 with a mean of 12.3 ± 1.6 g DW m−2 day−1 over the eight month growing season, Average N and P removal rates fluctuated more than 2-fold with highest values (350–450 mg N m−2 d−1and 25–40 mg P m−2 d−1) during the two month summer period (July/August) and lowest values (30–50 mg N m−2 d−1and 3–5 mg P m−2 d−1) in the early winter period (November/December). "Results show high species diversity within the scrubber (182 species within the 28 m2 growing surface). High diversity is likely due to a combination of factors: species diversity in the source community (the Susquehanna River), spatial heterogeneity of the ATS system, and vertical structure of the turf community. Analysis for traits for mode of attachment, habitat of origin and life form was used to illustrate the distribution of adaptations of species in the algal turf community."